Save even more by adding a Heart Attack Push Knife. All items are made of a tough resin that is virtually indestructible. Very lightweight and easy to carry. 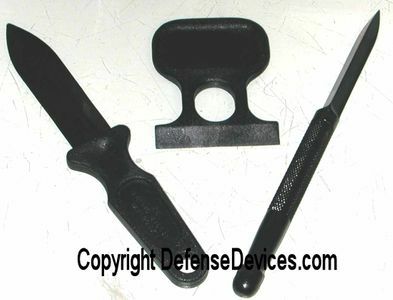 These non metal defense items are not found in stores. Although not made of metal, do not try to board an airplane with these. As described, fast shipping. Thank you! I remembered these from the 80s....but back in those days they were hard to find....get conversion piece.